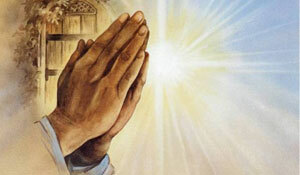 May the Creator of All – Help Me at this time of Need with Divine Blessings and Personal Healing. Let me feel the illumination from You come into my heart in the form of emanations of Love, Kindness, Forgiveness and Understanding. Allow me to participate in Your Life Force, for You are the Living I AM. Help me to visualize the highest “Light,” the superluminal Light, which I now feel coming into me with great Warmth and Joy – entering my being. Let me receive Your Loving Kindness and heal my life [or my condition] so that I may be completely restored and become a living vessel of Perfection and Glory. As I feel Your Loving-kindness in the innermost space of my being, let Your force of Divine “Light” renew my body, mind, soul and spirit. Let Your Divine Power continue to help and assist me in maintaining this flow of Your Divine Love and Healing Power with the power of Archangel Raphael – bringing me into a perfect renewal with Your Divine Protection. I would like to put out a call for peace in the Southern hemisphere to protect our muslim brothers and sisters after the tragedy in Christchurch. I would also like to pray for peace in Australia and ask that the government here doesn't politicize this tragedy and connect it to border protection prior to the upcoming election in May. I ask for prayers of acceptance and tolerance between all denominations of people in these regions at this time. The action of personal prayer is an exercise in compassion for yourself and others. Setting aside a Spiritual focus in your daily life to allow Divine intervention into your life and the environment around you will improve any situation. To add your prayers for yourself, loved ones or family use the prayer request form here. We ask out of courtesy to others that you do not put anyone's name on this page without their permission.